When you call Scott’s Septic Service for septic pumping, you won't be speaking to a recording or secretary - you will be talking to the owner of the company. 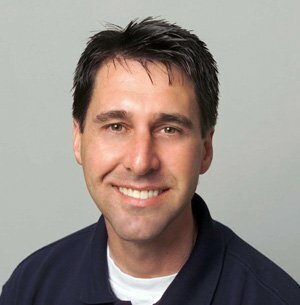 Scott has been in the septic tank pumping business since 2002 and is known throughout South King County for his personal services. Scott knows the community and the homes in this area well, making him the best option to call when you need septic pumping. He also takes extra time to educate his customers, because he knows that a properly maintained septic tank can save them lots of money and frustration! Scott is committed to excellent septic pumping service at an affordable cost. Customers will be pleased by the high end service that far outweighs the competition. To sustain the highest quality septic pumping services in South King County, Scott uses top-of-the-line equipment. He has a state-of-the-art septic pumping truck which allows him to provide the very best services to his customers, quickly and effectively. Scott not only takes care of scheduling you on the phone; he personally does the septic pumping job himself. Because he strives to give his customers exceptional confidence in his services, he has created many repeat customers. Scott would like to thank all his customers for helping him build such a rewarding business. 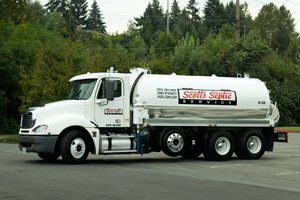 Call Scott’s Septic Service at 253-261-3453 today and let us show you how we make customers for life! Our services are available 7 days a week to help fit into your schedule.